Although cannabis has been legal in California for recreational use since the start of this year, Los Angeles marijuana lawyers know there continues to be much confusion as to what is allowable and what isn’t in the course of conducting business. One legal woe cropping up of late involves marijuana shipping and transport. 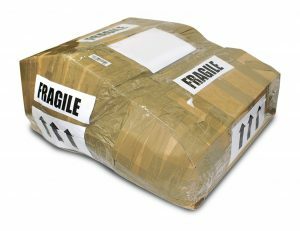 Shipping out-of-state (or sometimes even in-state) is fraught with legal pitfalls. If you are not careful, you and/ or your associates could wind up facing serious criminal charges, not to mention hefty fines. Because the federal government considers marijuana to be a dangerous narcotic, it is a federal felony offense to transport it interstate. Because of the Supremacy Clause in the U.S. Constitution, the federal government can prosecute you for federal crimes, even if your actions are legal under state law. In-state transfers can be done lawfully, but it depends on the circumstances. California’s Bureau of Cannabis Control lays the groundwork for the state’s digital track-and-trace system and is responsible for licensing every vehicle used to transport marijuana across the state. Generally speaking, individuals over 21 transporting less than 1 ounce for non-commercial purposes in-state shouldn’t have an issue with law enforcement. However, businesses are going to be held to more stringent standards. Los Angeles cannabis industry lawyers know this marks a substantial change for many businesses, which for many years following the 1996 Compassionate Use Act were sort of operating in the wild west when it came to marijuana transportation because there weren’t any regulations at all. In many ways, the new rules make it safer because the expectations are clearer and legitimacy of one’s actions under state law can go a long way. On the other hand, fail to abide those stringent rules, and once again, we’re facing serious consequences. As of right now, state rules require vehicles used to transport marijuana be owned or leased by someone with a permit issued by the state bureau. Anyone who transports cannabis or cannabis products are required to scan their seed-to-smoke RFID tag upon both pickup and delivery. Vehicles must be equipped with GPS technology and are required to stick to a predetermined route with no unplanned stops. Vehicles used for this transport must be smaller than 10,000 pounds because anything over that is regulated by the federal government. That’s why you see most marijuana deliveries are conducted via armored cars or Sprinter vans. Marijuana by mail might seem quick and easy, but your Los Angeles marijuana industry lawyer can explain it’s a quick-and-easy way to get locked up. This is true no matter where that mail is headed. The reason is that all mail delivery service in the U.S. is overseen by federal law – including not just the U.S. Postal Service (USPS), but also UPS and FedEx. Per 18 U.S. code 1716, using the USPS to mail marijuana – even within the territorial limits of California or to another state where the drug is legal – is a felony offense. It is true that because USPS is a federal agency, a warrant is necessary in order to initiate a search for drugs, and packages are protected under the 4th Amendment to the U.S. Constitution. However, if there is reason to suspect a package is suspicious, workers can obtain a warrant and if you’re convicted of using USPS to mail marijuana, it can result in up to one year in federal prison plus a fine of up to $250,000 – possibly more, depending on the quantity. Even use of third-party carriers isn’t safe for shipping cannabis either. First of all, because they aren’t federal or government agencies, they aren’t under any obligation to get a search warrant before searching a package they deem suspicious. The U.S. Supreme Court in fact ruled that use of a third-party carriers for shipment removes any reasonable expectation one might have had for privacy and gives a lot of discretion to the carrier. Those companies might not want to lose customers, but they also don’t want to end up in hot water themselves either. This is exactly what happened when FedEx was indicted in 2014 and UPS in 2013 for transporting illegal painkillers and other prescription drugs through unlawful online pharmacies. UPS actually paid $40 million to settle the case. Although neither involved marijuana, it still established a huge incentive for these companies to make sure they are monitoring their packages for illicit substances. If you are found to be the original deliverer or recipient of such a package, you could be charged either under state or federal law. Consider that per federal law, mailing as little as 50 grams of bud can result in a maximum five-year prison sentence. So our Los Angeles marijuana industry lawyers would conclude by saying: Yes, you technically can mail your marijuana. People do it every day. However, they are rolling the dice with the law. To discuss ways to ensure your business transport and shipment of marijuana in California is above board, call our dedicated Los Angeles cannabis industry lawyers today.